LED technology has advanced significantly in the last ten years. Twenty years ago, you could choose between red, green, and yellow LEDs, with the green and yellow significantly more expensive than the red. A decade ago, blue LEDs started becoming popular, though they were many times the price of the other colours, which had by then gotten cheaper. In the tail end of the nineties, white LEDs made their debut, but it's only today that we are seeing decent pricing, volume, and creative uses for them. This little essay will summarize what today's options are for white LEDs, and how they compare to incandescents. 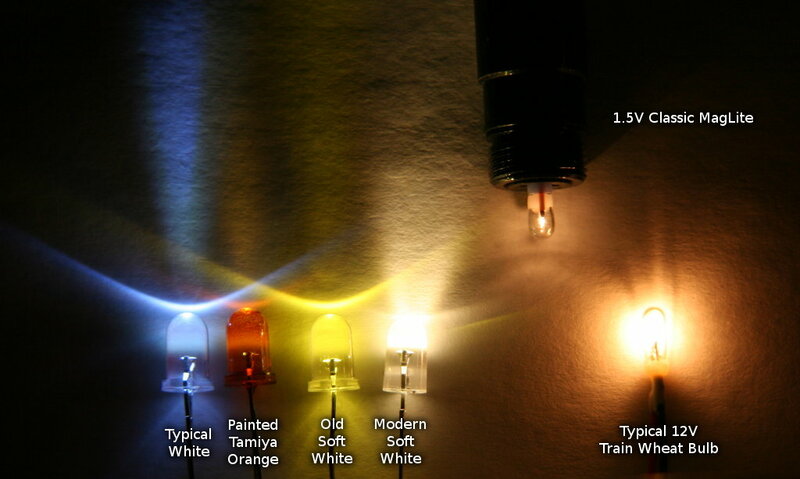 The original white LED (far left) is an offshoot from the technology used to make blue LEDs. This is why a typical white LED has a bluish tint, particularly in the halo, or otherwise lower-intensity region. These lights are good for internal lighting in models, mimicking the custom-made fluorescent tubes that Industrial Light and Magic typically used for interior model illumination. The next LED is the same white unit painted with Tamiya Clear Orange paint. It doesn't look quite right from the side, but the light reflecting from the paper it is shining on is of a very similar temperature to the colour from the mid-range of a traditional wheat bulb diffusion gradient. The reason it is weaker is that the paint affects the lens of the LED; through a fiber optic strand it still makes for decent scale light. For some time, this was the only way to soften the light from white LEDs. Some manufacturers have even produced LEDs with a clear orange resin to achieve the same effect. The advantage of paint is that the level of orange can be controlled by the thickness of the coating. 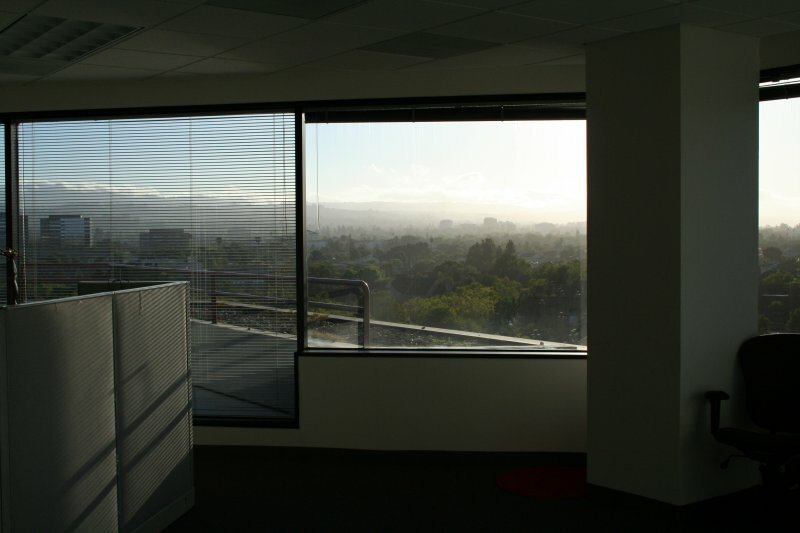 A few years back, breakthroughs occurred that made it possible to produce softer light. The first "warm white" LEDs are actually closer to a cold yellow everywhere except at their brightest point. Really, they are just white LEDs with a tiny yellow lense over the silicon. These are not very useful, but started the right kind of thinking to get us to where we are today. Finally, recent advances make "soft white" LEDs a reality. These LEDs produce a light that is very similar to what is produced by soft white compact fluorescent tubes. Unfortunately, as with CCFLs, there is a very confined spectrum, leading to a much less interesting diffusion colour than what emanates from classic wheat bulb. This photographs with a very "sepia-tone" quality. However, the colour at the source is virtually identical to that of the bulb's filament. With the colour of modern soft white LEDs, it is finally practical to use these in lieu of wheat bulbs in scale models. This has always been difficult, as many studio models have used a combination of technologies to achieve the right look. For example, the refit Enterprise from Star Trek: The Motion Picture included white fluorescent lighting for the windows, while using wheat-bulb spotlights on the exterior. Using a combination of classic white LEDs and the new soft ones, it is finally possible to get the right effect, or at least come close to it. Why am I bringing this up at Christmas? The stores are already having clearance sales to get rid of Christmas decorations. More to the point, every $8 chain of soft white LED lights contains 35 of the latest in soft white LED technology. The string of interior lights produced by Noma is actually even more interesting, because their LEDs are the 3mm variety, normally quite difficult to obtain. At less than 25 cents per unit, the price is right! Update: I have been informed by several people that "grain of wheat" bulbs are so called because of their size and resemblance to a grain rather than their wheaty colour. Learn something new every day. Ottawa weather has broken several records this winter, even though it's not winter yet! We got 35cm of snow today, and that's on top of the 40cm we have gotten over the last week or two. Today's snowfall is an all-time December record. Even the amount of snow we had before today's storm was more than what we had by the end of last January. 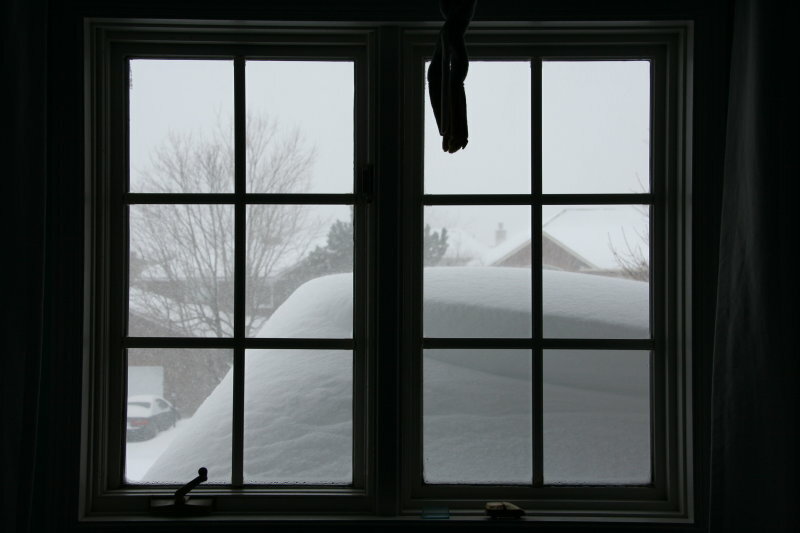 I have never seen the view out of my brother's window as obstructed as it was today. The drift there is easily 1.2m tall. And, for once, the deck is completely invisible; only a bit of railing clears the snow. In the last entry I promised that I would write more about my thoughts regarding the eeePC. As mentioned, I have been involved with the project for quite some time, having worked on the software that ships with the units since day one. There was always the geeky temptation to write something here, but practical considerations (aka "NDA") kind of got in the way. From my point of view, it all started from "Pat, we have a new motherboard from Asus we want you to see to evaluate if our product can run on it." My first reaction was that it was a regular, albeit completely bleeding edge board, that will need some serious driver work to get going. Writing drivers is not exactly my area of expertise. But it quickly became clear that the tiny motherboard sitting in front of me had well-established hardware and was meant for a tiny laptop. We ended up putting together a demonstration of a possible concept for the product in remarkably short time, and that demo is actually quite close to what ships with the units today, if much less polished. Even then, before seeing what the thing would look like there was a very high energy level amongst those involved with the project. Optimizing a distribution to boot in 12 seconds from BIOS to desktop is a fun challenge. The challenges continued right up the stack, and the software is quite true to the Unix philosophy of "one tool for one job," as there are many simple GUI programs that are designed to do one task as simply and quickly as possible. That alone really is quite refreshing. The enthusiastic energy not only continued, but boosted significantly when the first full unit came in. It was only subtly different in appearance from what ended up shipping. I was impressed, and still am. The tiny laptop is cheap, jam-packed with features, surprisingly ergonomic, and feels more solid than one might expect. One of the things that Asus did very intelligently with a computer this size is to not over-embed. In other companies there may have been some pressure to make it a PDA-like device. However, the laptop is a standard PC, and the user is free to install whatever OS and software they like. The default software is optimized for the unit, and thus encouraged, but there is no locking in. The default installation contains many hacker-friendly features like quick access to a shell, a full suite of GNU/Linux utilities, even all of the man pages that come with them. At the very least it makes one of the most portable ssh terminals, and at the most, it introduces potentially millions of people to Linux. At this point, after solid effort on the eeePC project, including many late nights, weekends, and a trip to Taipei, I am very happy with how it's being received. There are generally very positive reviews. Most people are not making the mistake of comparing it to a full-sized laptop in terms of capability; obviously, its small size does bring about some limitations; no surprise there. It's actually the #1 selling laptop on Amazon.com at the moment, which certainly speaks for itself regarding its success. There is even a thriving user community. As for me, I am simply proud of my contribution. For the last six months or so, my main project at work has revolved around the new ASUS eeePC. My company, Xandros, got the contract to develop the Linux software that ships on the unit by default. 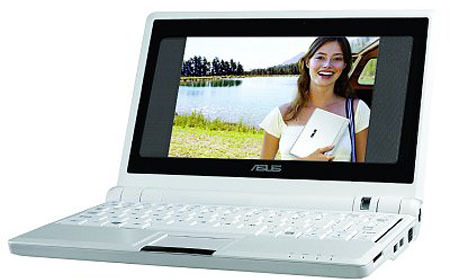 From then until now, I haven't been able to talk much about the eeePC, as ASUS obviously wanted to keep its new baby under wraps. Besides, the specs changed frequently, and the only thing worse than leaks are inaccurate leaks. eeePC's software was developed very quickly and efficiently. Now that the product has shipped, there is nothing to hide, so I gave a talk about eeePC and its software to the local Linux Users' Group this week. The talk went well (aside from my little lapses into la-la land), and I think the eeePC was well received. I am no marketoid, but people seemed genuinely excited by it. Several people from the audience now own one. People seem naturally attracted to the features and the price tag of the unit. The phenomenon is global, with the eeePCs selling as quickly as they can be produced, and they are produced at a few thousand per day. Even having worked on the project day-in-day-out, the project remains fresh. The word for the last half year of my life has certainly been "exciting." I hope that was adequately reflected in my presentation. However, it is bad writing to be describing a talk given about a subject that has not been properly introduced. I will have to reflect more about the eeePC itself at some point in the near future. Until then, my regards to Richard Briggs for the photo. My camera is still at Canon's service depot in Montreal. Gentoo is pretty cool. 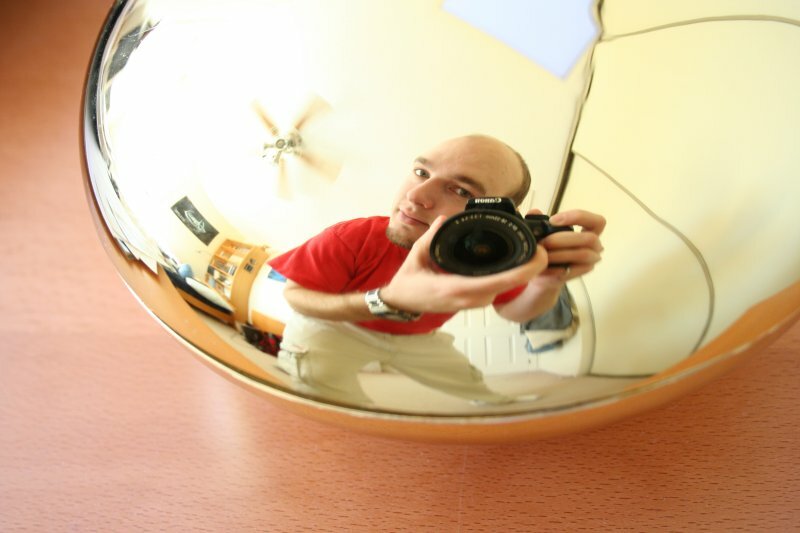 As a self-compile Linux distribution, it has inspired more to learn about how things work in Linux than any other distribution. Aside from people reporting bugs when they set their compiler optimization to a gazillion-and-one, it has probably had a generally positive effect. I've been using Gentoo since early 2002. I had it on my laptop until it became clear that the hard drive was far too slow to handle the ever-growing Portage tree. I still kept it on my desktop with the intention of always having the latest versions of software as it's released. Unfortunately, time has been short in the last few months, and more often than not I just had a broken system. The solution has been to completely free myself of Gentoo. I now use Debian at work and Ubuntu at home. In truth, it would be nice to follow Debian unstable at home as well, but a relatively slow internet connection coupled with a frequently updated pool of packages would still be a big strain on time. For now, the "just works" option is my preference. 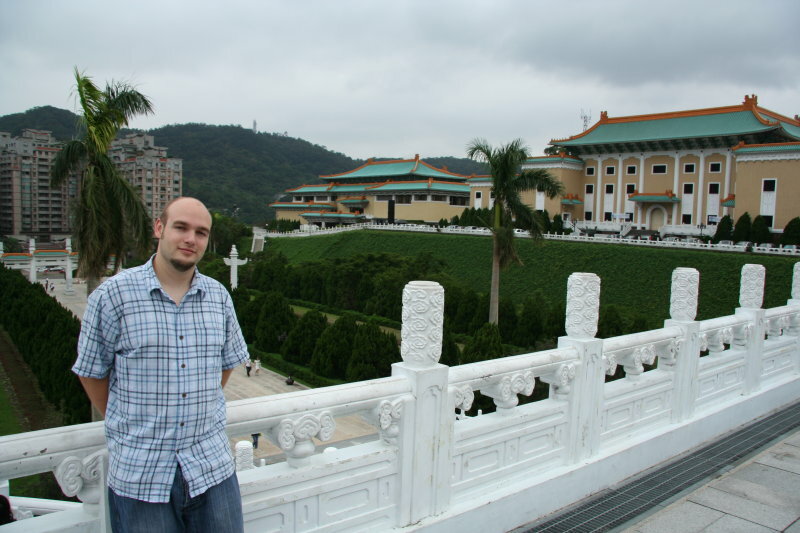 So, here I am nearing the end of my visit to Taiwan. I meant to write more about this rather spontaneous trip, but an unbelievably busy schedule kept me from it. Taiwan is not at all as I expected it. Most things are as "normal" as anywhere else. Indeed, it's supposed to be mainland China that is truly "different"; even the locals consider it so. Still, many differences exist between the cultures I am familiar with and those over here. The most striking difference is the food. Acknowledging that I'm a picky eater, I truly cannot believe the kind of things they eat here. It really shocked me how different the food is, from the pig ears, to the shrimp, to the "smelly to-fu", to cow stomach, and bits and pieces that lack identification. These are all considered delicacies by the locals. To me, they constitute a source of apprehension. It wouldn't be so bad, except that these items and those containing all manner of fish (which I avoid) make up about 90% of the menu. There is a McDonald's every other corner, but going to one of those would be considered rude. Some dishes are excellent, many are not. Food has been a problem during this visit. Typhoon. As luck would have it, we arrived in Taipei just in time to witness a category-4 typhoon, the largest anyone here has seen in years. My first tropical storm. Winds well in excess of 100 km/h. Magnificent power. Women. Spending time at a high tech company, I can't help but notice the ratio much closer to 50-50 of men-to-women than what we have in North America. There are a good number of downright hot women in engineering positions here. A gorgeous woman handling a soldering iron? Unexpected. History. On National Day, we took a trip to the National Palace Museum. This museum contains artifacts and treasures, taken from mainland China at Taiwan's birth, that date back all the way to Chinese cultule of 5000BCE. I found the meticulously crafted jade the most impressive. Some of the pieces are undoubtedly the result of entire lifetimes of work. Driving. Insane. Between cars screaming by every which way and people on scooters flying in between, it's a wonder the country maintains the population it has. I've seen entire families on a single tiny scooter. Drivers need to pay attention here. The average taxi driver is very sharp. Some people on scooters are downright nuts. All in all, this visit has been enlightening. I have been given the opportunity to explore an entire culture that is new to me. While much of it remains beyond my comprehension, this trip is a change of routine that is, as walways, very much appreciated. Doing this sort of thing in the name of business is far easier than doing it in the name of vacation. I had good (busy) times, and met great (busy) people. Perhaps I will come here again some day. As mentioned in an earlier post, my model of the USS Grissom is finally done. After fifteen months of hard work, the details are good, and I think the effort shows. The kit is Sci-Fi Spaceship Miniatures' "Survey Class Vessel," a kit from (I believe) the late eighties. What started out as a fairly simplistic 11" vacuum-formed kit is now a finely-detailed model. I had the pleasure of being told by the person who created the masters for the kit that it was the best build of the model he had ever seen. Here is the run-down on the model. The ship is internally lit with LEDs, fifteen in all. I scratchbuilt details for the various bits where machinery is exposed. The paintjob is done with Testor's Acryl, airbrushed, and was difficult because of the lack of any reference lines in the plastic. 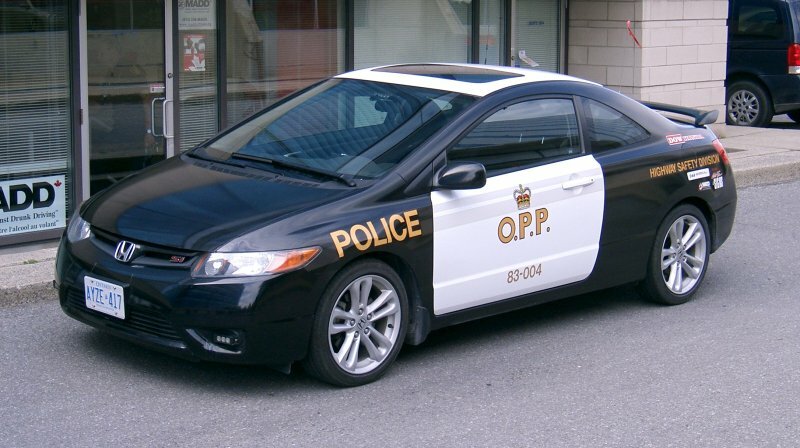 The decals are an excellent set from JTGraphics. I weathered the details lightly with pastel chalk dust. There was much procrastination in finishing this model, as there always is. One always wonders how far to take things. The perfectionist never wants to finish. The pragmatist wants to get the job done. A balance of the two is necessary. It worked out. 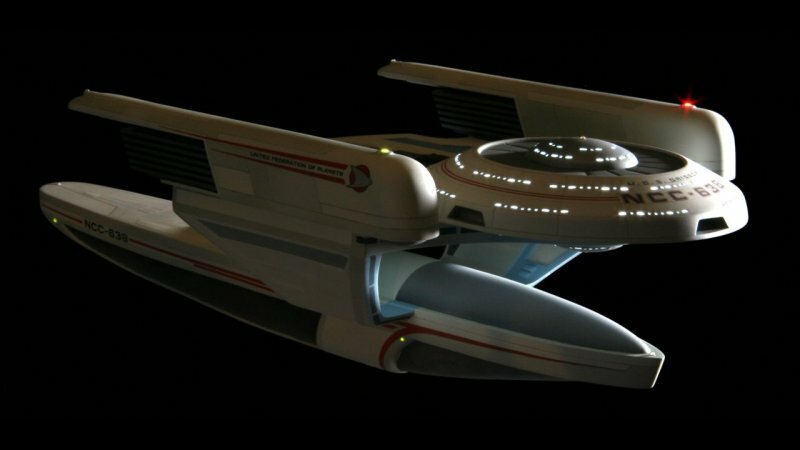 After almost a year and a half of hard work, I have finally finished the model of the Star Trek ship Grissom this week. This afternoon I set up a small photography studio to take photographs. The experience of past knowledge trying to photograph my models let me revisit a few things and should result in better photos. First, a little background. I build models with internal lighting. I consider it about half of the hobby in being able to photograph the model as they have been doing with motion control photography for about three decades now. While my camera doesn't move on a sophisticated rig, the principles of compositing still hold true. The idea is to take several photos under different lighting conditions and combine them together. That way, the internal lights can look brilliant even if they are much weaker than whatever external lighting is used for the overall composition. It's complicated, but worth it. I've gotten fairly good results using basic techniques in the past. The most obvious new addition to my equipment is my Canon Rebel XT digital SLR camera with a decent lens. In the past, I used an old SLR Praktica. It worked, but film is not very friendly for trial and error, unless you have months of time to kill. To complement the camera, a now own a sturdier tripod than before. This is important, as the exposures are up to 30 seconds in length, and multiple exposures have to line up precisely. The remote I built for the camera also helps. Aside from the camera, the overall setup has been improved as well. Shelling out the money for a real black velvet backdrop was worth the expenditure. Initial tests show it is many times better than the felt I had been using. I made a new stand for the models themselves, on a longer-than-usual stainless steel rod nested in a solid chunk of aluminum. 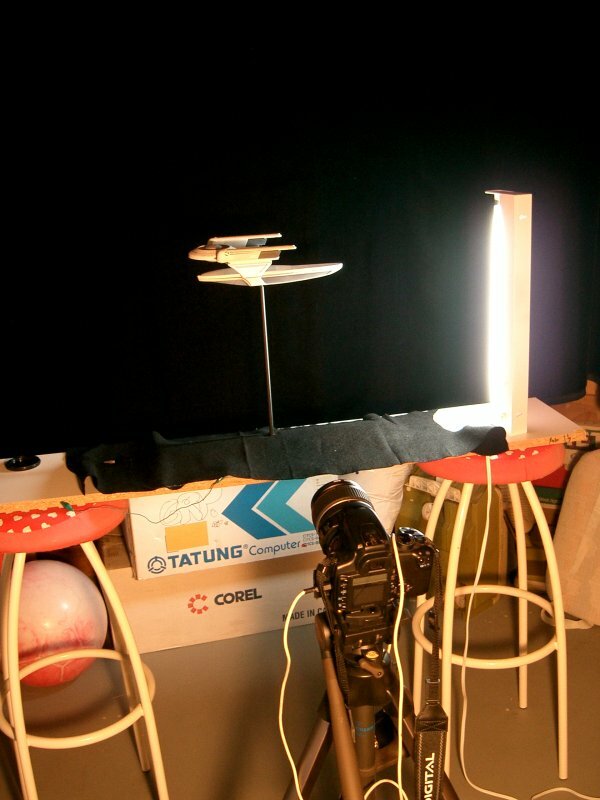 This will allow for the model to be held sturdily, as well as more low-angle photos. Finally, although I hate fluorescent lighting, a cheap 18" cold white light provides a true colour capture of the model without having to play with white balance after the fact. The length of the tube helps as well, as any point source of light within reasonable distance does not provide even lighting. All of this is in the basement, on a steady concrete floor, and where all light sources are controlled. If everything goes according to plan, I should be doing some serious photography tomorrow night. This weekend Phil invited a bunch of us to his parents' new cottage. I was surprised when we got there, because this cottage was to other cottages as a palace is to a house. Great place, with acres and acres of land, lakefront, and a killer view. With the land came the opportunity for some target practice. 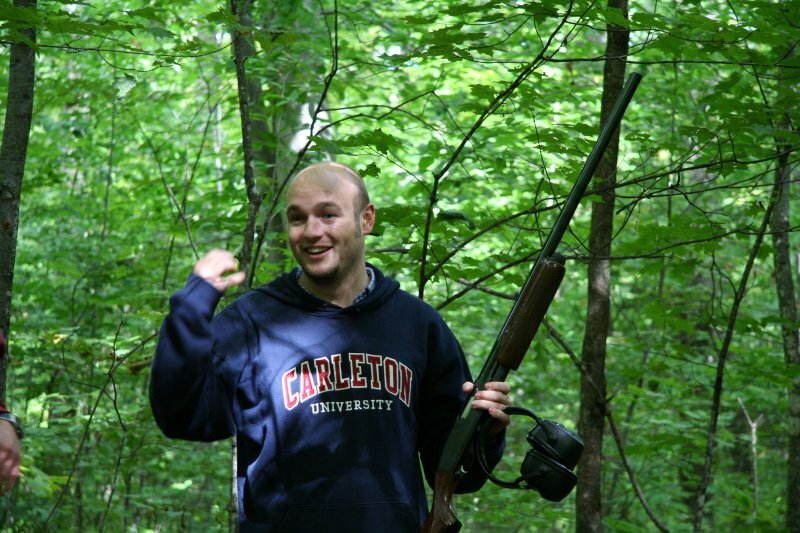 Phil owns a .22 calibre rifle and a 12-gauge shotgun. I had never fired anything like those before, and it was a great experience. The shotgun was quite a powerful thing, with OO buckshot the kickback was really a new experience. Exploding cans of club soda and cinderblocks as targets with the rifle was good fun too. Additionally, we spent the weekend fishing, barbecuing, and the like. However, the guns were the best part. Novelty? Perhaps. But it's rare to take a candid photo of me really into something, and when this photo was taken I was downright giddy. One thing that I visit whenever I'm in the Gdańsk region in Poland is the cathedral in Oliwa. The cathedral itself is a very tall and narrow building from the romantic style. While at 107m, it is the longest in Poland, and is not particularly interesting, save for the exquisite pipe organ which dominates its interior. 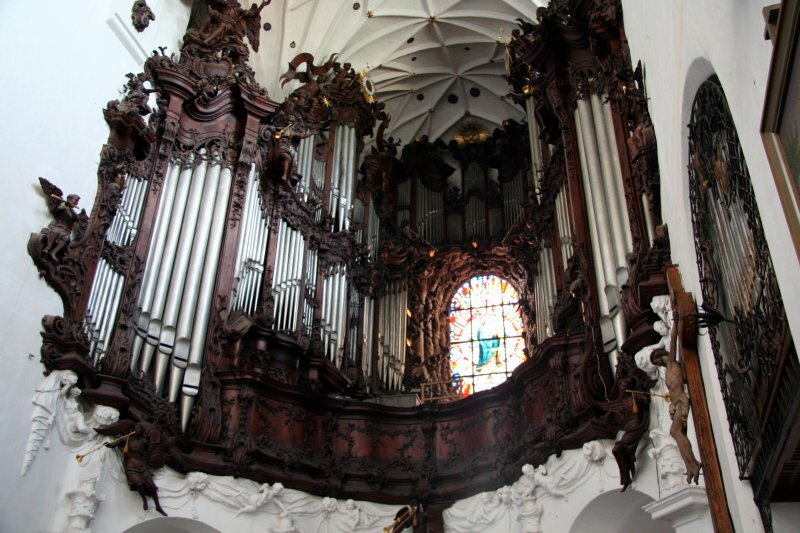 The organ was once the largest in Europe, and is still amongst the largest. At last count, accounting for all the stops, it amounts to around 7900 pipes. It has an astonishing sound, and the various figures and carvings move as the instrument is plays. In a single word, it is magnificent. Of course, the day we came by to see it, it was a holiday in Poland. And in that region, a holiday is literally a "holy day" -- no concerts, only masses. Coming in 15 minutes into the mass, there was still a long sermon to get through, and the music was rather dry. I was most satisfied when at the end of the mass the organist let loose and played a piece that was more suited to the brilliance of the instrument. Arcade Fire has long won me over by their original approach to music and their use of not just one, but two violins. This weekend I happened across a music video someone on YouTube created for a song of theirs called "My Body is a Cage." I was most intrigued that they released this song, and in fact, an entire album, without my noticing. Moreover, in this album, titled "Neon Bible," the band uses a full-blown pipe organ to its fullest in several tracks. The organ is allowed to scream at its full potential. Very unusual in rock music. Very Arcade Fire. Very cool. It's been a week since I returned from a three week trip to Europe with my brother and father. We flew direct to London, then spent a few days there until the RyanAir flight which took us to my grandparents' city in Poland, and then we did the same thing in reverse on the way back. No need for a detailed summary, I'll just mention some highlights. 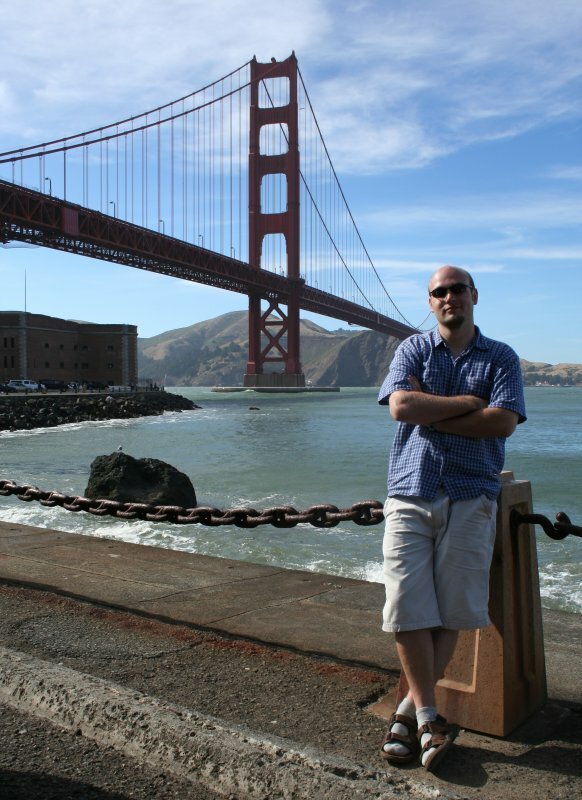 First and foremost is the fact that when I returned from London in early winter 2001, I claimed that it was one of the few cities I could live in. I based that on my winter impressions of transportation, population density, and so on. I don't like taking things back, but I have changed my mind. This time, the trip was in the summer, there were millions of people everywhere, with long lines, and while the transportation was still very good, the temperature in the tube was about 10 degrees warmer than comfortable. Aside from the mentioned nuisances, something that drove me nuts is that two-thirds of the time if someone opened their mouth on the street it was either Polish or Arabic. This really irked me. I expected English in England. In contrast, on the trip out to Stonehenge, we took the train to Salisbury. Salisbury was a nice small city and proved to have all the things I would expect in an English town. It was like the archetypal sort of English town one expects. Strange as it may be, I don't think London fits its stereotype any longer. It has lost much of that uniqueness. Enough about England. It really wasn't that exciting, aside from the various methods of transportation. While time in Poland was very limited, we packed the days full of activities. Outside of the usual family obligations, we took a larger trip up North to the Baltic, at Gdańsk. On the way, we stopped at Malbork; that castle the Teutonic Knights built is amongst the largest in Europe. A truly amazing place, and getting better, as can be said for everything in Poland as time grows since communist regime. It is interesting that every time I go to Poland someone ends up asking how I find it compared to life over here. Everytime I go, I am forced to answer less and less, as the gap is shrinking exponentially. I could live there, go to the grocery store in the same car I have here, buy the same brands of food, and use the same credit card to pay for them. There really is a lot less contrast than there used to be. It almost takes the fun out of travelling. The new lens proved to be a very good thing during this trip. At 17mm, it was wide enough to capture even the largest buildings, and in at 85mm it got the closest details. The photo here is of me standing in an archway in Toruń, where Copernicus was born and where he lived. It was on the way during our trip to the Baltic. Through the archway is the Vistula and the bridge we used to get into the city. Leaving for my first ever time-off-work vacation today. Going to Europe: England, then Poland. 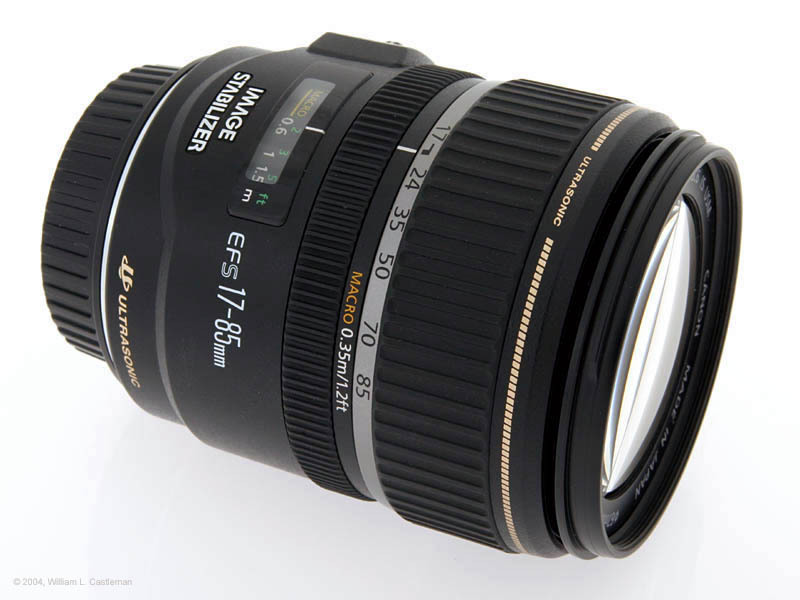 Having procrastinated buying a 200 or 300mm lens for the Canon for much too long, I decided to go out and get what is considered to be one of the best general-purpose lenses Canon sells: the Canon EF-S 17-85/f4-5.6 IS USM. It's a lens that costs almost as much as my camera's body itself, but I think it is well worth it. While the aperture isn't the widest in the world, the zoom range is good. There are barreling and distortion issues at the 17mm mark, but I can live with those. The focusing is fast and quiet, and the image stabilization is awesome. It's a solid, real lens. Speaking of photography, it's interesting that in the last month or so, I have had three requests to use photos from this log in two books and a company's promotional material. I am flattered. Does this thing rank high in Google's database, or do I just take photos of things no one else bothers to? 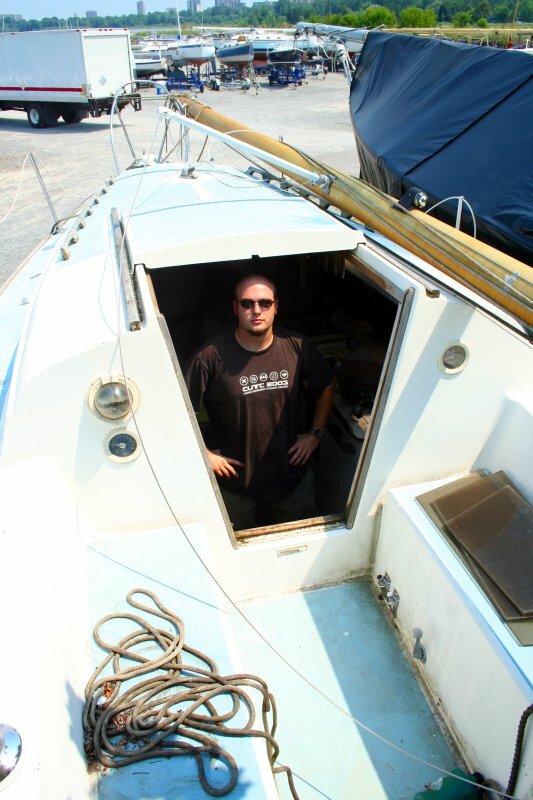 The past several weeks have been exciting as I nearly became the proud co-owner of an abandoned O'Day 27-foot yacht. Not much is known about it, it even lacks a name; the closest to a name is a large painted snowflake. "Snowflake" it is. The story starts a month ago, when I found out that the Nepean Sailing Club was trying to get rid an old abandoned boat. Upon contacting them, they made it out to sound as though it was in really rotten condition. When I went to see it, it just didn't seem that bad. The Club was convinced to allow the boat to remain until next year, provided it gets launched by next summer. This all sounded really good: a 27-foot boat, with sails in relatively good condition, an inboard engine, a full kitchen suite, a full washroom, a bedroom, and a total of five berths. Sure, lots of it would need replacement, but it was still all very exciting. To make a long story short, we paid a nice man a decent sum of money to survey it and tell us what is wrong that we cannot see. The hull itself was in fantastic condition. Unfortunately, the top deck was soft, with about 75% of it having rotted. While a worthwhile project, there is no way that kind of work could be completed by next spring. So, sadly, Snowflake will be heading to the scrappers at the next convenient time. It truly is unfortunate. I was having tea with my mother today, when something scared the bejabbers out of us when it hit the window next to us. My first instinct was that it a snowball, as my brother frequently throws them at the windows to scare people. But the snow is gone. So it must have been a tennis ball. But who threw it? Was it actually a bird? I went outside, and indeed, there was a woodpecker, motionless, on the ground under the window. Actually, it was breathing. When I approached it, its eyes were blinking. It was stunned, but otherwise fine. He had only managed to break the top of his beak off. Still, the bird lay motionless. So, we picked him up and held him for a while. 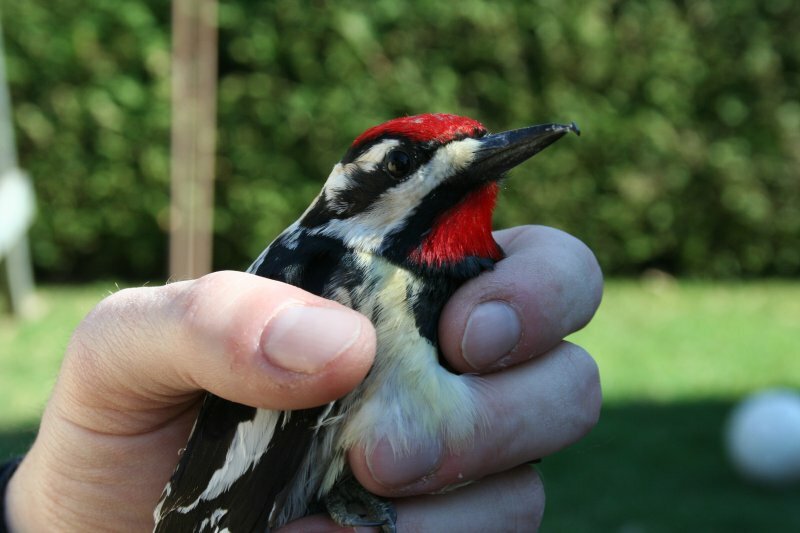 Eventually, we placed the woodpecker on a branch in the back yard. He sat there for about an hour, then went on his way. This is the sort of thing that I didn't think actually happens in real life. Hopefully the little guy is alright. Either way, it made for some fine bird photography without the expenditure of a big lens! So I turned a full quarter-century old last week. I thought it was a pretty big deal until I went to the Hallmark store to get a card for my buddy Raf's 25th birthday, and they don't have those. They have cards for just about every other year, except twenty-five; anniversaries excepted. So, in that spirit, it's just another year, another tax season. I can keep counting. I'm bald; mid-life crisis averted. Nonetheless, I had a pretty good get-together at Patty's Pub. In other news, no one has been calling me for a while. This is because my cell phone has been dead for a pretty long time. It is surprisingly difficult to find a good replacement for my six-year-old Nokia 3390. I had a few spares, but one was given away and the other didn't work. While I finally managed to fix the broken one this week, I still opted for a new phone. Fido doesn't carry any phones I like, and their list prices are upwards of $300 for most models. 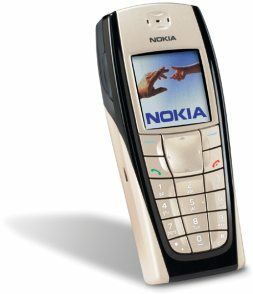 The criteria is simple; I want a Nokia, no flip, no camera, with a keypad that has normally-shaped buttons, and not larger than the 3390. Not easy. I ended up finding and buying a unit that fits my criteria on eBay. It's the Nokia 6200. It's a few millimetres smaller than the old phone in every dimension, has a good square-shaped keypad, and nothing fancy. Hopefully it will work as well as its specifications look. Last week I got to try out how the switches turned out. Installing them was somewhat difficult and time consuming, as slipping in the switch into the brackets is made difficult by the hinge pin and limited space around it. The final result is good. The switches do not align perfectly, but I'm not certain they ever have. They do toggle very nicely, and the panel certainly appears complete. I would say the project was a success. Now, we just have to make the electronics actually work. That should be easy. Or not. I bought a new time-waster this weekend. Both GTA: Liberty City Stories and GTA: Vice City Stories were marked down, so I got them both. GTA is my favourite game universe, so it is surprising that I held out this long without buying them. Perhaps it is because they are only for PS2, and I find it really difficult to use that controller. Also, compared to my PC, the resolution, framerate, and responsiveness are low. Still, the games are good. Over the past few weeks I have been working on-and-off at producing the switches required to replace the ones broken on the PDP-8 at Carleton. And they're done. 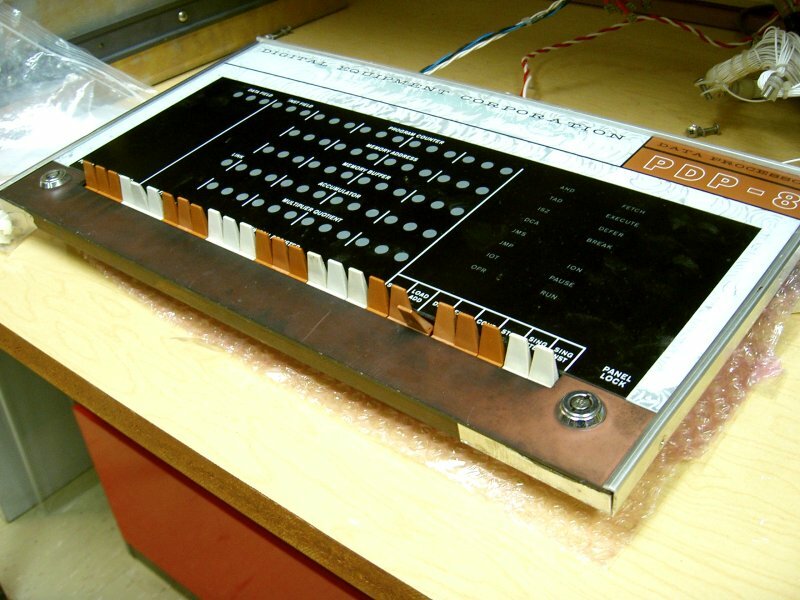 Of the 26 toggle switches on the panel, only three were still intact. Ten needed new hinge rods, which I produced out of stainless steel. 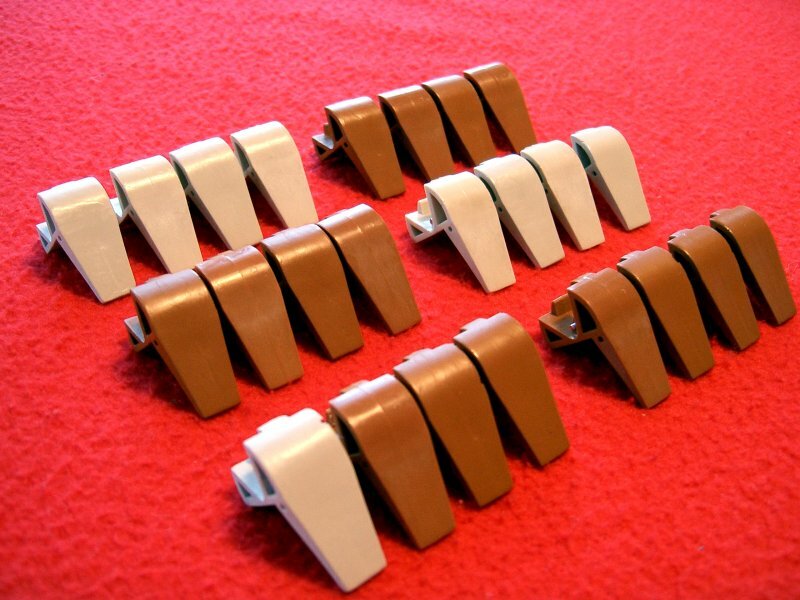 A total of 13 needed to be replaced altogether, eight brown and five gray. I made a two-part mold using Alumilite's rubber, and then cast the switches using their quick-set resin. There were a few bubbles, but only the visible ones were filled. The 1/16" stainless steel rods used for the hinge pins, 12mm long, were cast right into the resin. This weekend was spent finishing them off. I primed with Krylon. For the brown switches, I found that Testor's "1166 Flat Brown" enamel was a perfect match. This is in the small, cheap bottles. The gray switches were a little harder; I started with Testor's ModelMaster Camouflage Gray and tinted with the brown paint until it matched the original switches very closely. The finish is not perfect, but when mixed up with the original switches as in the linked photo, the copies are hard to pick out. "Good enough" is good enough. Forrest Gump was on TV last night. I still don't get the whole point of that movie. Is it just simply stating that you don't have to be smart to get through life? M&M's come in a chrome-gold bowl that makes for a great external equivalent of a fish-eye lens. You can see my entire bedroom in that thing. Somehow, the "box of chocolates" brought that up. I spent the entire day working on my models. It seems that there is a sort of pattern where I work for a day, then nothing happens for about a week, then something drives me to work another entire day or evening on them. It's peculiar, because it never works out when I plan it. So, Markus got me out skiing tonight. It was really, really cold, at 25 below zero without windchill. Naturally, while skiing, one produces ones own windchill as well. We went out to Camp Fortune, and I think this was the first time I have ever night-skied. It was good fun, I got to try those little short skis called snow blades and they were refreshingly different. At one point, one of my feet got so cold I could not feel my big toe, and the feeling only came back after about 5 minutes of thawing it; scared me, but everything turned out okay. To fix this freezing flesh problem, on the way home, I stopped by Carleton to warm up in the sauna. Long story short, I think every ski resort should be mandated by law to have a sauna. It was a good evening. 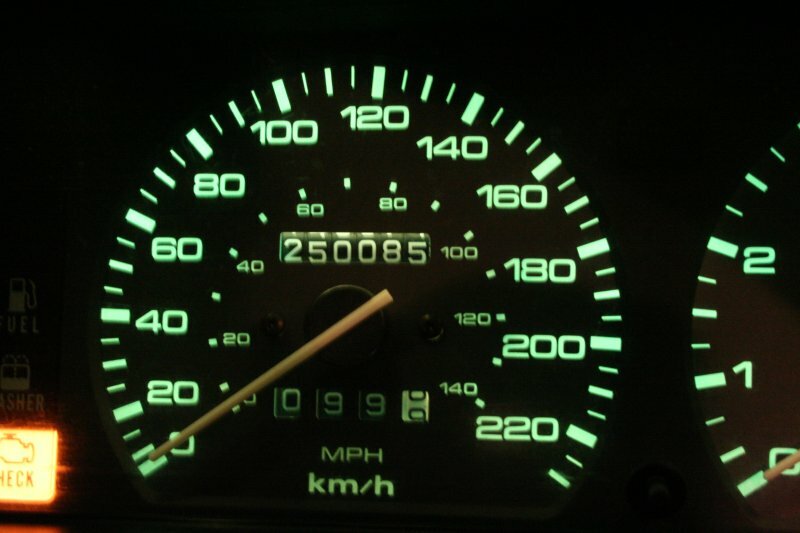 On the way to the ski hill, my car surpassed the 250,000km mark. That can be called 250 mega-kliks or a quarter giga-klik. Still considering what sounds better. I am aiming for it to pull through to 300,000. This evening I put together a shutter remote for my Canon Digital Rebel XT. I got the idea to do it earlier this week. For some reason, it never before occurred to me to build one myself; I always assumed I would end up buying one at some point. Long story short, for less than ten bucks, I have a very functional unit. It has a focus button (black), shutter button (red), and a little toggle button that keeps the shutter open for longer periods without having to constantly hold the red button down. The cable came from a broken mouse I had laying around. The case had been meant for a high school project that never materialized. The only things I bought were the two large buttons and the connector. All in all, the unit worked out great. 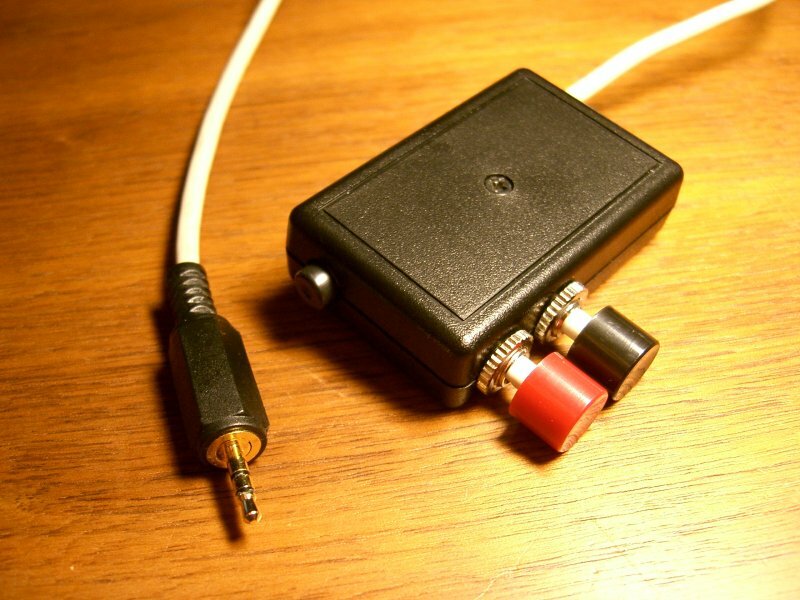 It has been a long time since I last did some cheap gadget hackery; awesome feeling. I spent the whole evening taking photos of science fiction models and compositing them. Like most of the things I do on weekends, it was completely out-of-the blue that today's major activity should take place. I had a sudden idea to try cleaning the various badly-tarnished pieces of my clarinet with Brasso. I bought my clarinet on eBay about six years ago, and when it came, I realized it had badly tarnished chromework. It had brown rust spots, green rust spots, and an overall rough yellowish haze. I have not been able to find much about this clarinet. I had searched the internet when I first received it based on its markings, which indicate it was made by "H. FREEMAN N.Y", a stamp indicating it was made in France, and the serial number 1723. Suffice it to say that there is no real information out there. The spattering of message board posts indicates it is probably about 50 years old, but that is it. On to the cleaning. It became quickly apparent that it would not be possible to clean up the metalwork without getting a lot of liquid onto the wood body, so I disassembled everything. It took approximately three hours to clean the lower half. I will have to do the upper half at some other point; it is smelly and tedious work. Nonetheless, it worked very well, the clean parts really shine. 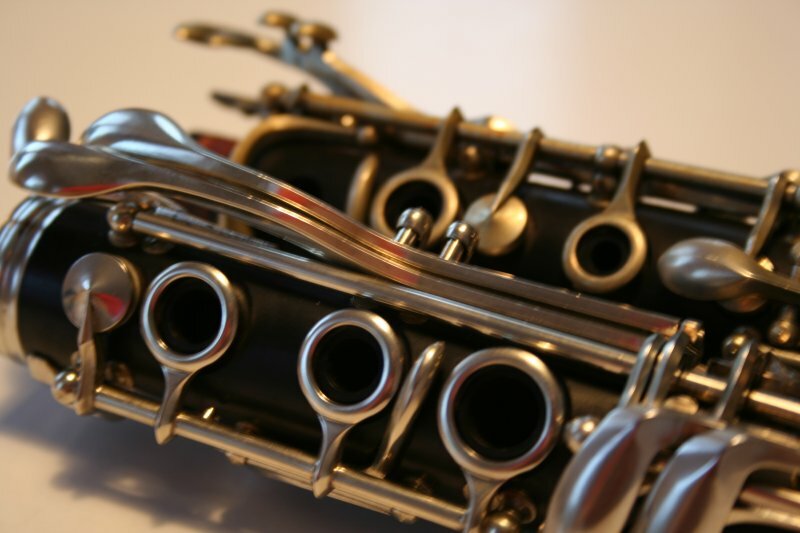 The clarinet looks as it should, silver and black. In other news, my one-year membership to the Carleton Athletics Centre expired today. The plan was to go three times per week over the last year, and I went three times per week with few exceptions. I have renewed for another year. I meant to wrap up some 2006 items here over the Christmas break, but the network connection this web server is plugged into was down the entire time. Anyway, last June, during the Carp airshow, I stumbled about a large FirstAir scrap plane. I was very curious, so I went next to it, reached up, and pulled on the handle to open a hatch. Couldn't see inside. Little did I know, the hatch on the starboard side could only be closed from the inside. Feeling bad about leaving it open, I went to the other side, opened the other hatch, and tried jumping in. You have to understand, floor level was at my eye level, and there was nothing below the bottom of the hatch; suffice it to say it was very difficult to jump/climb into. I did it eventually, getting my perfectly new white clothes very dirty in aluminum dust in the process. The plane was an Hawker Siddeley 748 (HS748), originally made by Avro. 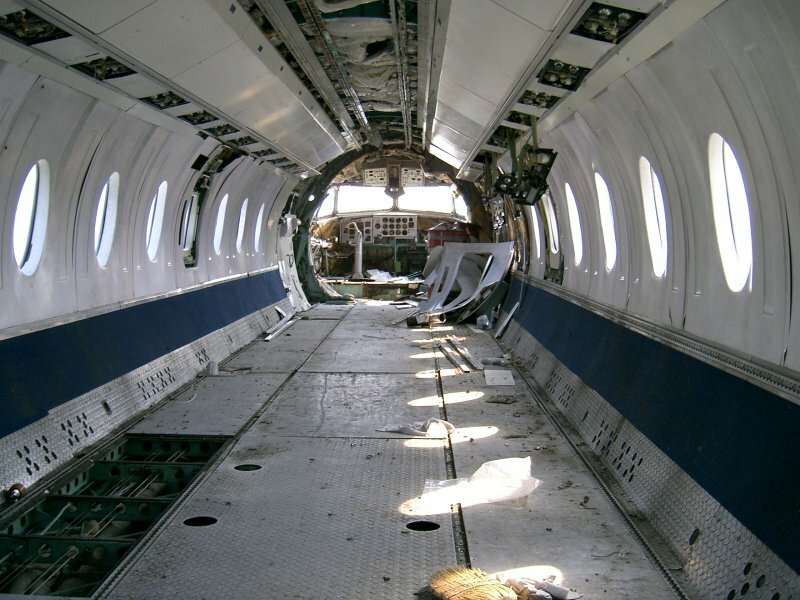 The inside of the fuselage was sad. What is now a pile of junk used to soar the sky. Now, it was just sitting in an aviation field, stripped of anything valuable, slowly rotting away. I eventually closed the hatches and left. It was a neat experience. As I was swimming tonight and thinking about this, I had a bit of a daydream. I was a passenger on a 767 flying near Ottawa, and both of the pilots were disabled for some reason. No one else knew how to fly a plane, and since this was my dream, I decided to take charge. It was weird, because I had visualized the whole thing, from contacting the airport, to asking for a diversion to Mirabel where there would be less chance of hitting something, to asking for a pilot plane that could lead a glide path. Ten minutes of this before I interrupted myself! Bizarre!